Family Shabbat Chanuka Dinner December 30 with special guests! ​7 candles on the 7th day! 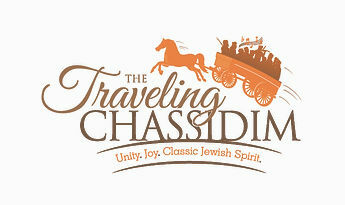 Join our special guests The Traveling Chassidim on Friday, Dec 30th for the most illuminating Chanuka party ever. When the lights of Chauka are combined with the lights of Shabbat, we are all treated to a taste of heaven! Delicious menu from 613 in Stamford, with all your Chanukah favorites. Tickets are $30 for adults, $18 for children under 13 years old. Pre shabbat music and kugel at 3:45PM, Chanuka and Shabbat candle lighting at 4:15, followed by a special Kabbalat Shabbat musical service led by the The Traveling Chassidim. Kiddush and dinner at 5:30PM.